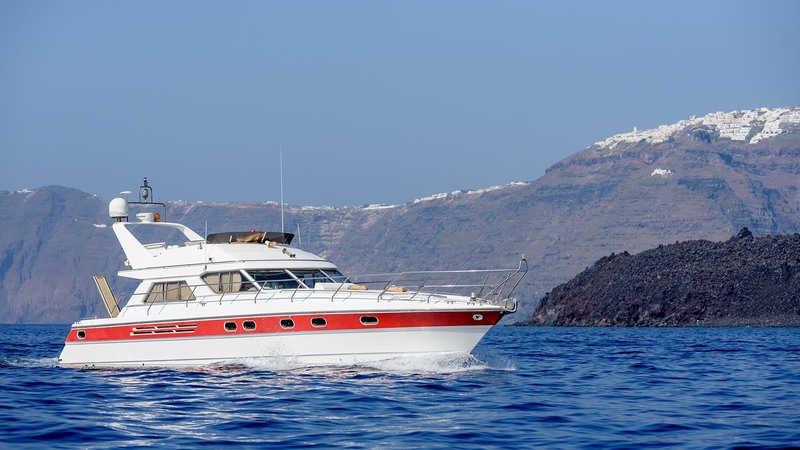 This cruise starts from Vlychada Marina and set sail towards vlyhada beach, the red beach located in the historic village of Akrotiri , the white beach, which is really fascinating , and the famous Indian shaped rock where you will notice our lighthouse. 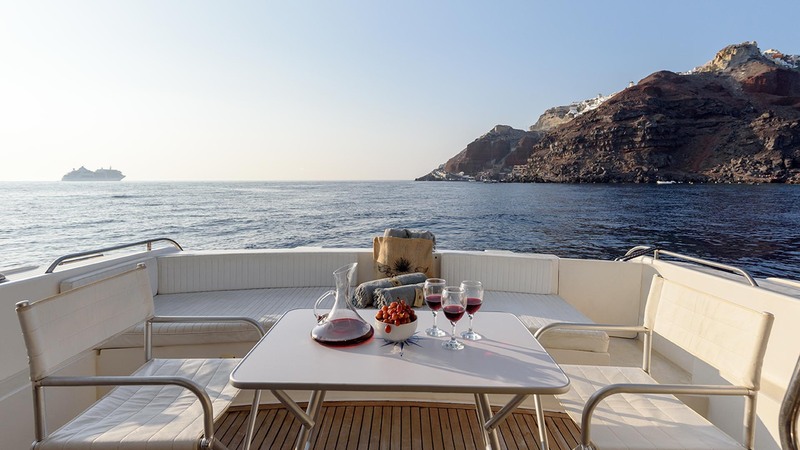 After the lighthouse, you will cruise past the private island of Aspronisi where you will have a first glance of our world famous volcano. 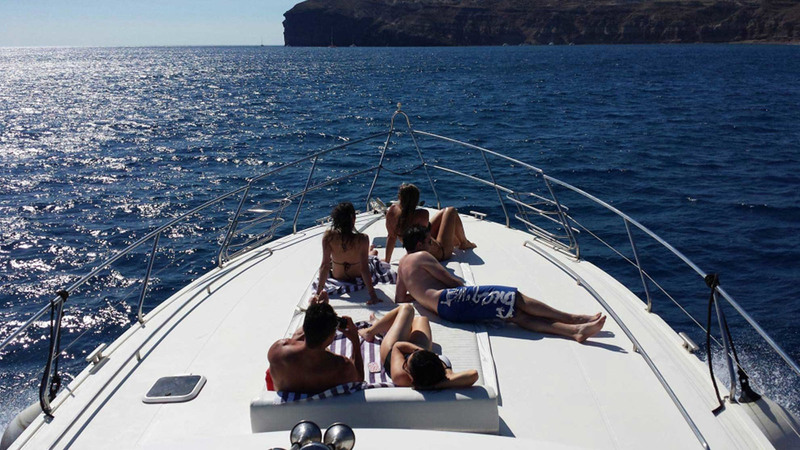 Sailing towards the famous volcanic hot springs where you can take a therapeutic swim and view the beautiful private coves of Old Kameni. 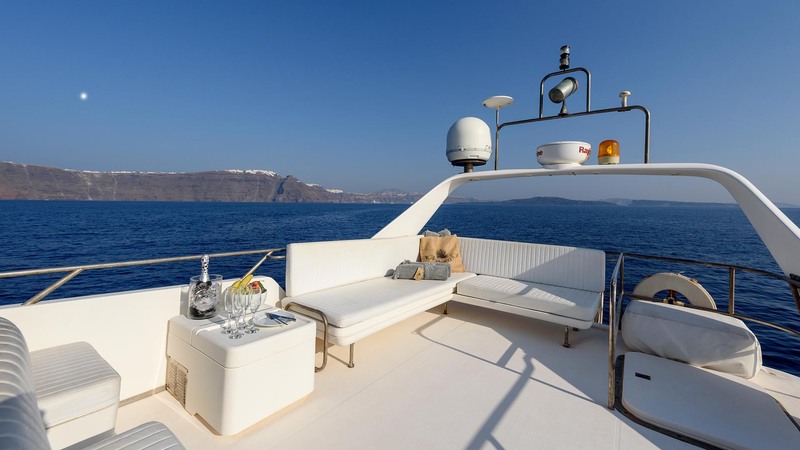 You will view the Caldera and the following towns:Fira , Firostefani , Imerovigli and Oia. 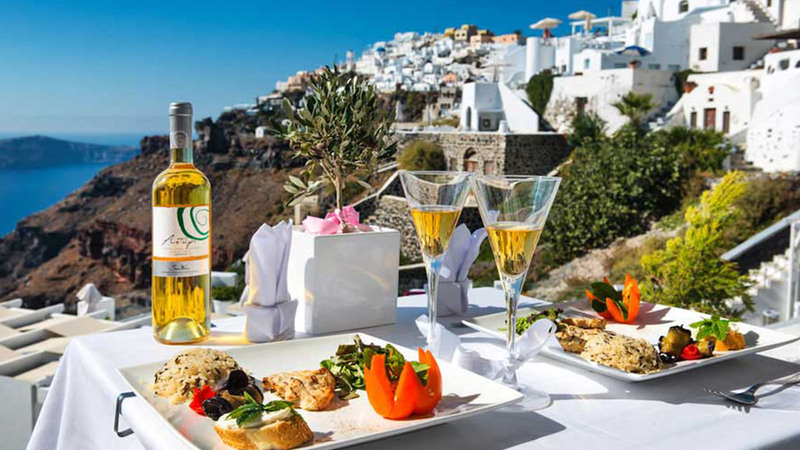 Enjoy our Greek buffet with cold appetizers served chilled local wines.